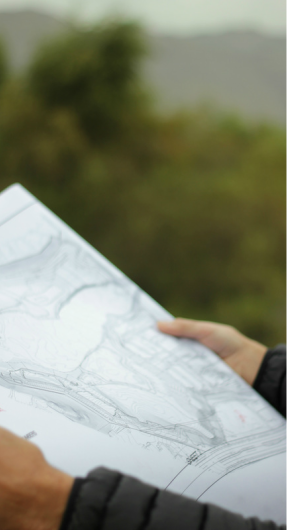 ​SDH has been providing Planning and Engineering services throughout Southern California since 2002. Past projects completed by SDH span from Bakersfield to San Diego and include a mix of: Residential, Institutional, Industrial, and Commercial developments. SDH has provided planning and engineering services as well as performed construction staking for thousands of residential lots, thousands of multi-family units, hundreds of thousands of square feet of commercial and industrial projects and more than a dozen Elementary, Intermediate, High School and College facilities all over Southern California. In addition, SDH is proud to have designed park sites and park site rehabilitation in the cities of: Montclair, Upland, Menifee and "Big League Dreams" in cooperation with the County of Riverside. SDH understands that to lead in today's changing land development industry it must also commit to a consistently high level of training in the most sophisticated engineering software. SDH is proud to use the very latest version of AutoCAD and Carlson software. With AutoCAD as the industry's standard SDH experiences a resulting seamless interface with other project consultants. 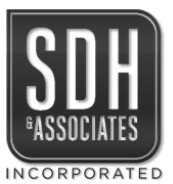 In addition to employing a traditional view of honorable business practices and the pursuit of modern technological advances; SDH & Associates, Inc. strives to treat each client as if they are the only client, and each project as though it were the only project. SDH’s management team maintains involvement in every part of the planning and engineering process. We believe that this involvement, along with careful administration allows each project to proceed smoothly from planning through construction. ​Stephen Sommers is the President and founder of SDH & Associates, Inc. Having completed hundreds of private, public and institutional projects Mr. Sommers' experience in design, construction and project management is a key factor in SDH’s ability to provide the most thorough and informed consulting services. ​Robert Van Zanten is the Vice President of SDH & Associates and the office engineer. Robert contributes the benefit of over 3 decades of experience in construction management, NPDES coordination, and city engineering. Because of his many years of public engineering experience, Mr. Van Zanten brings a vast base of institutional knowledge that often assists in finding ways to overcome difficult site constraints.